Do we just give our kids money, or do we show them ways to earn it and thereby have some respect for it and understand value more clearly? Do we allow our children, our sales staff, our employees to learn by allowing them to make mistakes so they can learn better ways? Or, do we step in and do it for them, so that we know it is done according to our own plan regardless of how little they learn that way? Or, how about ourselves? Are we longing for the easy way, when we know full well that the other way will create a foundation to step up on? Are we looking for a savior? If you were starting up a company from scratch and using your own capital, or bootstrapping it, would you constantly long for enough money to pay people and be done with the struggle? Or might the struggle have some of the most valuable lessons of the whole journey? I used to long for all those savior moments, wanting it to be over and someone else to do the work, or make things happen. Then recently, something changed. All of a sudden, it became clear to me that these things weren't struggles at all. It was just a challenge to be able to view it differently; more creatively. Then, it became even more clear that it was not even so much of a challenge as an advantage. Now, just look at that transition! It went from a struggle to a challenge to an advantage? Maybe I'm losing it! Truly, I'm beginning to see some of the things that I go through in my business and my personal life as advantages instead of the struggles that once were. It is this change in thinking that I am so very excited about because it is showing me the value of the travel that I would have never seen otherwise. I now know for certain that it is all perfect. I Now Have An Advantage: My New Perspective. Spread Some Joy Today--Everything is really how you perceive it. We indeed create our own individual realities. Let's look in the rearview mirror not very far back in history and look at just a few of the things that were impossible for hundreds and even thousands of years, and then they somehow not only became possible, but became actual realities. 1. Bridging the Mississippi river. 2. To travel faster than a horse will run. 3. Hauling hundreds of tons of material smoothly and efficiently. 5. Flying through the air in a machine. 18. Landing a man on the moon. 20. Electric light and appliances. This is such a short list of the seriously long list of things that were impossible for hundreds and thousands of years and then became possible and then became actual things in just the last 200 years. I did this off the top of my head and I'm sure I could come up with a couple hundred items and that list would be small compared with what really transpired. Next time something seems impossible, pull out this list, or make your own to remind you that nothing is impossible really. It is just a matter of time and more important than time, is someone beginning to believe in the possibility rather than the impossibility. It is amazing what even one person who believes can do to change the world. We Owe Our Entertainment, Transportation, Food Delivery Systems, And Creature Comforts To A Few Believers. Spread Some Joy Today--become more of a possibilitarian. You don't have to know how, just know. I'm changing things up a bit today and having run across this awesome talk, find that it is very inspiring and wanted to share it with you. http://www.ted.com/ Neil Pasricha's blog 1000 Awesome Things savors life's simple pleasures, from free refills to clean sheets. In this heartfelt talk from TEDxToronto, he reveals the 3 secrets (all starting with A) to leading a life that's truly awesome. is the quality that most frequently makes for success." Flaming enthusiasm. . . I just love that phrase! There is nothing quite like enthusiasm, flaming or otherwise to make whatever is being done a joyful experience. As one of my early mentors, Frank Bettger said so well, "to become enthusiastic, act enthusiastically," so there is the fast way to the joy: pretend. Fake it. Act as if. After a bit of practice, it will become real. I know this for a fact. Get excited about what you are doing. I am so excited about what I am doing now that I can hardly stand it, and it makes me even more excited by letting that out. Life is joyous if you allow it to be, will it to be, want it to be. So, forget about the "reality" that people are constantly reminding you exists. They may say that you're a dreamer, but you're not the only one. . . I've heard that somewhere. . . Live in your fantasy world instead of facing reality. Reality is boring anyway. No fun. Horse sense and persistence will help with your success, but nothing will take the place of flaming enthusiasm! Find Something To Get Excited About Today! It Will Make Your Day A Total Joy. Spread Some Joy Today--it is amazing what we can do when we decide to do it. It is amazing how enthusiastic we can be when we decide to be so. "God has the tough end of the deal. you had to make the tree? trying to figure that one out." One thing that has become extremely clear to me about life is that it is not need that drives, it is desire--and even more than desire, it is expectation, which is the foregone conclusion of desire. I love how Jim Rohn puts it about the soil not caring at all about the need, yet is ready, willing, and able to deal with the seed. Indeed, the second quote about God having the tough end of the deal (as if anything is tough for God. . .) puts our physical abilities in perspective by asking us to make the tree. All we know is the seed that becomes the tree, but we don't have anything to do except plant it. The rest is not our domain. I've shared this before, but I have a sign I printed out on my wall so that I can see it every day that says: "What is MY job! How is GOD'S job!" I need to remind myself very often that I control desire and what I want to do or have or be, yet I DO NOT need to know how to do that. Exactly like the tree and the seed. I plant the seed, which is my job, but the building of the tree is not my job. I've recognized many times in my life past where I have tried to help build the tree. I get in there and try to change circumstances and events to speed the process along, or to make it better somehow. It becomes clear in a relatively short time how poorly I am equipped and skilled to get that job done. I somehow think that it is my actions that will reap all the results when it is much more me aligning with my desire and focusing there, especially the end result as if it were already done, not knowing a thing about how, or needing to know. The more I stick to my job, the better things turn out. To The Power That Builds Galaxies, My Desires Are Mere Child's Play. Better In Those Hands Than Mine. Spread Some Joy Today--let go of as much of the struggle as you can. It won't help. Relax and concentrate on planting and enjoying the sunset, the breeze, and the wonderful shade of the tree. mock-ups of products that no one would ever buy. with innovation instead of defeat." Innovation and the concept of being the best we can be is at the heart of my there's-no-such-thing-as-competition philosophy. Who has time to look around at what others are doing when you're so busy doing yourself? And innovation is always looking at things in different ways, backward, forward, inside out, upside down, up close and off in the distance. Consider this quote by R. Buckminster Fuller about innovation: "Pollution is nothing but the resources we are not harvesting. We allow them to disperse because we've been ignorant of their value." I think that is a fascinating thought. I love that quote by Mr. Fuller because it is like a Mike Rowe's Dirty Jobs way of looking at innovation: people love doing the strangest, but most necessary things that most of us choose to never think about. Pollution is certainly one of those things, and learning to love pollution is a way to find a solution that creates value from something previously with a minus value. Innovation will never occur by ignoring the problem, but in looking at it completely differently. The worst thing to hear is some version of, "that's the way we've always done it." There are lots of versions on that theme. Innovation requires two things: one, a letting go of previously held truths, and two, an opening of the mind to perhaps radically different ideas. Of course, the ideas need not necessarily be radically different in order to be innovative, but many certainly will be, such as the case with pollution becoming of value. Need some help with innovating? Watch this video and then ask a child! There's Always Another Way, And Some Of Them May Change The Game Completely. Spread Some Joy Today--Laugh often and much. accomplish! And what your potential is!" The other night I watched an older VHS that I had in my eBay store called Calle 54. It is a documentary from 2000 showing Latin Jazz players and groups from all over the globe. It is nothing short of amazing to watch these players play their instruments. It is especially interesting as a musician myself to watch people who really know how to play do something that seems so far away from what I do that it is as if I don't play at all. I am in awe watching them, and in joy as well. It made me think a bit about the question of how good can we get at something. The right answer is probably, who knows? Limits are always being expanded--and indeed, it seems that they are meant to be expanded. This one aspect I think I've figured out about this, and that is that it is not desire that can achieve these levels as much as a love of doing a thing. It is beyond desire, and in the holy realm of passion! Perfection Is An Elusive Thing, Though Many People Do Flirt With It Regularly. Spread Some Joy Today--watching someone else sharing their passion is very satisfying and encouraging. it, who is bound to succeed in the greatest degree." In late 1988, I subscribed to a series of business biographies published on cassette with each title containing two approximately 90 minute cassettes as an abridgement of each book. These were published by a now defunct company called Newstrack Inc. At the time after subscribing to a series of two or three monthly issues, I called them and bought the entire 60 title inventory so I could devour them at my aggressive pace. This was part of over 120 books that I "read" on tape while commuting 104 miles round trip every day for four years. It was my university on wheels and I absolutely loved every second of it, besides the fact that it kept me alert and awake. In 2004, I began a book business on the side on eBay and ended up eventually with an inventory of some 25,000 items of books, audiobooks, music CD's, etc. Early on in that venture, after having sold my entire set of Newstrack titles, most to one person at a sizeable sum, I decided to buy every one I could find and all that came on the market over the next few years. I did so and sold many thousands of dollars worth. Even now, I must have the world's largest collection of those Newstrack tapes. Recently, I engaged someone to transfer them to CD for me to enjoy. The last of the tapes were manufactured in 1989 I think and so they are now very old, yet have been protected and are serviceable. Doing this has allowed me the pleasure of revisiting these wonderful books. I just began listening to them again this weekend and it has been so delightful to hear them and the stories of many of the last century business greats and how they came along. Yesterday, I listened and thoroughly enjoyed, Grinding It Out, The Making of McDonald's by Ray Kroc. What a fascinating story of how that company became an icon from a thought. Today, I am relistening to one of my favorite characters of business: Andrew Carnegie. It is The Autobiography of Andrew Carnegie. For the next several months, I will be in joy listening to so many more of these books. Having given you this foundation, here is what I wanted most to share in today's daily inspiration. When I listen to Ray Kroc's story and Andrew Carnegie's too--and the rest are the same--it fascinates me how they started with nothing but a thought and parlayed that into other thoughts, into manifestations of those thoughts. They had problems, some large in magnitude, but the vision or the dream kept them going. And, it was perhaps a long period before they then became the overnight success that we looking back in retrospect see they had. In many cases, it was a 30 or 40 year instant success. The big lesson is that it is the step by step by step, making adjustments as needed, even stopping, turning around and starting again, but with greater success than before that moves the needle. It is the ignorance of age being a factor. Ray Kroc started McDonald's franchising at age 52, Colonel Sanders at age 65. It is also clear that foundations were built on things that didn't show then what would eventually come to be; e.g., Ray Kroc sold milkshake mixing machines, and Andrew Carnegie was a telegraph operator for a railroad company before and during the Civil War. It is encouraging to me to listen to these stories and to look at where these most successful people were in their early development, and as they grew and became more. It is encouraging to hear about the mistakes they made, and how some of those mistakes became a wonderful success. It is enlightening to me to get to know these people, less as industrial icons, and more like people doing what they are so interested in and love to do. Their passion is intoxicating and the wisdom they share of their toil and travels is of immense value. I highly recommend the long list of these Newstrack titles. You may still be able to get them in book form. I know the two I mention are on Amazon. To see some of the titles I have, look at my reduced eBay store at www.delsoutlet.com. There is a tab for Newstrack Audios. Most are listed, and I'm working on doing each in CD version as my friend can do them. So Much To Learn And So Many Wonderful Choices. Spread Some Joy Today--Buy a book or audio and relight the learning joy. "ready-aim-aim-aim-aim syndrome." You must be willing to fire." Tomorrow will last all day! I Like The Idea Of Making Decisions Quickly And Often. I'll Give It Some More Thought. . . Spread Some Joy Today--procrastinate or not. Lighten up. Sing a song. Change the lyrics. Have some fun. under a spirit of approval than under a spirit of criticism." Having studied Andrew Carnegie for some time, it is impossible to miss getting to know his right hand man, Charles M Schwab. In fact, there is a book very much worth reading about Mr Schwab called Steel Titan. In getting to know Charles Schwab, it was clear that he was an artist at dealing with people and he was famous for getting people to do things well through a spirit of approval instead of a spirit of criticism. Love and appreciation has to be at or nearest the top of what people really want in virtually every situation. That subject is the basis for one of the world's most helpful books, How To Win Friends and Influence People by Dale Carnegie. It is also a must read that never will go out of style and is full of value to the reader. When I saw these two quotes together, I thought about these three leaders, and I also thought about the need and desire for approval that we all have. I thought about it specifically about myself and my own desire for approval that was a driving force in my life. What I realized in looking at this is that most of my life I felt that I was lacking in enough or the proper approval and I used to find that frustrating. At some point in the very recent past, I've let go of the need of it. It's not that I don't appreciate it when it is given to me, it's just that I no longer crave it as I did before. What's also interesting to realize is that the need for approval has dissipated since I decided to give it to others everywhere I go. It might be an approving glance, a thank you spoken aloud, saying I love you aloud, showing love by doing something courteous or nice or unexpected. I just sent notes to people out of the blue to tell them I was thinking of them and was appreciating them, and those are always very well received. I am always looking at what I can compliment someone on. Maybe they have a new hair style, have lost weight, look especially sharp that day, have a wonderful smile, exude confidence. I seem to always find something to compliment people on and they just love it. And, guess what? Now that I'm not looking for it for myself and giving it away in droves, I find that I feel more love every day, so in effect, it is coming back to me in greater quantity. Who knew? Focus On Others For Your Own Benefit. Spread Some Joy Today--there is such joy in spreading it around you. Note: This daily inspiration goes out in 2 different emails and is also a daily blog post. I noticed in looking on the blog at the statistics of page views, and found this page to be the most viewed of the almost 480 daily inspirations. So I thought I would share it again. This post received almost twice as many views as the next most viewed page. in the world. But it takes people to make the dream a reality." Yesterday, I briefly mentioned stringing joyous days together. So, I took my own advice and just decided that I would string as many of them together as I could. It's early in the day and I was inspired to begin tomorrow's daily inspiration right now because I am feeling so on top of the world! Well, maybe extremely excited would be a better way to say it. Here's what excited me this morning. I was talking with my partner Ryan and we were laughing and having a good time on the phone and we talked about our latest websites and how great they look compared to only 8 months ago. In just three years, we have grown so much in creating better and better websites, blogs and other Internet items. It is almost mind-boggling the difference from when I first built my first website in October, 2007. And, I was thinking about what made the difference and how it came about. The answer is NOT ME. Yes, not me. I didn't do it. . . directly, but indirectly. The first site was by the green pea himself, me. Nothing to write home about, except that it was actually completed and online and I did it. Then I built some more and each one got better and better. Then after about 8 months or so in business, we hire a graphic designer and soon, the sites take on a whole new dimension. Then, the company we use improved their product dramatically, then we hired another graphic designer, then . . . well, suffice to say that I am not building websites any more and haven't for some time. But, here's the good news: I own the company! So in effect, I do! Is that cool or what!? I find and have always believed, like Henry Ford, that you surround yourself with talented people and they make you look pretty darn good. It isn't me, but the people who are a part of our endeavor that make all the difference. I'm in there doing things, but I couldn't do what our company does now without them. They are Upward Trend now. And, we are all so much better for it. Think about your business and the people in your employ, or if you're an employee, look around at the talented people the surround you. Recognize that talent and express your gratitude for it. Even if it doesn't directly affect you in your position, I am certain they affect you indirectly in some way. Build them up because that automatically will build you up. A company is absolutely worthless without the people--the right people--just like any good football team, or organization. Seek what is going right, not what is going wrong, and applaud every success no matter how small and watch what happens. It Takes People To Grow. . . Spread Some Joy Today--Grow some kindness by giving some of yours away as seed. In the same way, grow your laughter, friendship, love, excitement, and joy. and lack of purpose with self-actualization." I used to talk about learning plateau's. It seemed to me that I would be learning every day, building up experiences over some period of time, then, what would seem all of a sudden, I felt like I just had a big jump and then I was in a whole new level of confidence, wisdom, skills, etc., and then begin building again toward the next plateau. I never knew when, or how much time these plateau's would take to be noticed or realized, and it seemed like it was sometimes months, other times maybe even years. Something I've noticed recently is that these plateau's are beginning to come more frequently and with less time in between. I'm not sure what that means, but this I do know: it is way cool and fun and exciting at the same time. Well, you might have already guessed, I had one today. I'll tell you, today I felt dang near invincible it was that much fun. 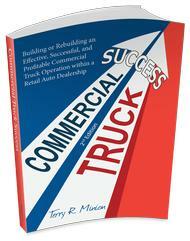 It started early this morning with a truck training class at a dealership. I've given this class at least a couple hundred times to well over a thousand people. I know it by heart very well. It is a two and a half hour class that is full of great information. Today, I changed it up a bit and spent more time in certain areas and didn't even cover other areas. I think it actually worked better, and what I learned from that told me to cut the class at least in half regarding the material, and maybe even break it up in more pieces. But, that's not the main thing to share. What I want to share is that when you do a thing often enough and you know what you're doing and do it well, the confidence level continues to increase. In addition, you can pay more attention to what is going on in the class and less to what you are doing. This alone yields more insight. But, that's still not the main thing. So, as I do this class, even with some time in between, I still find it very exciting and fun and I do everything I can to show that in my body language and my voice and actions. After class, we went out on the lot to look over trucks and point out features on each one. Everywhere I walked on this large lot, I walked with enthusiasm and purpose and determination, and confidence. It was absolutely joyous! What a thrill. To top it off, the sun came out today after over a week of overcast. What could be better? That's the main thing I wanted to talk about: the feeling; the joy; the fun; the enthusiasm; the learning; the thrill; the excitement. I was hot and loving it and I think we all need to do that as often as it is possible to have it happen. Don't you? A day like today can very easily overshadow several off days. Let's Challenge Ourselves To See How Many Joyous Days We Can String Together! It'll Be FUN! Spread Some Joy Today--There is nothing quite like loving what you are doing--even if it is just for today. . .
"Attitude is greatly shaped by influence and association." "Business professors Gary Hamel and C.K. Prahalad have written about an experiment that was conducted with a group of monkeys. It is a vivid story of failure. Four monkeys were placed in a room that had a tall pole in the center. Suspended from the top of that pole was a bunch of bananas. One of the hungry monkeys started climbing the pole to get something to eat, but just as he reached out to grab a banana, he was doused with a torrent of cold water. Squealing, he scampered down he pole and abandoned his attempt to feed himself. Each monkey made a similar attempt, and each one was drenched with cold water. After making several attempts, they finally gave up. The researchers replaced the original monkeys, one by one, and each time a new monkey was brought in, he would be dragged down by the others before he could reach the bananas. In time, the room was filled with monkeys who had never received a cold shower. None of them would climb the pole, but not one of them knew why." Now, this whole story is so familiar to me, only it was people, not monkeys. Now, I get it. . .
Association Has Risks And Rewards. Spread Some Joy Today--Take confidence in your own counsel. More than anything, it is your own belief that matters. to gather wood, divide the work and give orders. I look through thousands of quotes and there are always those few that just jump off the page at me. This one by Antoine de Saint-Exupery is a perfect example of one that got my attention tonight. When I find quotes like this, they always make me think of something in my life or thoughts that this speaks to. What this one says to me is that as a business, we need to sell the sizzle, the dream, the grand objectives, the plan. It's not about the nuts and bolts and day to day that fires people up, it's being a part of something much larger and more exciting. It's not the paycheck, it's the belonging, the participation, the expenditure of creativity and expansion of skills. It's about the relationships that grow and become more. It's about the leaders of the company caring and sharing and taking the rest along. It's the promise of a grand future, a better future, a worthwhile endeavor. It also says to me to teach people to understand instead of replicate. To think for themselves rather than look to others for direction. To be leaders of themselves and lead right where they are. In other words, to see the vision for themselves and move toward it individually and collectively. It is the vision, the excitement surrounding it and the effective sharing of it that is a key ingredient in a growth-oriented company. Don't we all want to be a part of the dream? Get Excited--Even If You're The Only One. The Rest Will Follow Soon Enough. Spread Some Joy Today--What fun it is to be part of something grand, bigger than ourselves and worthwhile. A bit of joy in that. you want out of life is this: decide what you want." truly want, and all that is left is a compromise." too high and we miss it, but that it is too low and we reach it." Tonight, I was looking through one of my favorite books called The Success Principles by Jack Canfield. I highly recommend it and what I love most about this great book is that it has 64 chapters (Principles) and they are all very short, just a few pages, and that you can open the book where ever you want and pick up tidbits to brighten your day, cause you to think about something more clearly, or just a little encouragement. The three quotes above came from the third principle: Decide What You Want. At first glance that statement, decide what you want, seems like a no-brainer and that this would be the easiest thing in the world to state, but I found that in my life and in that of many I know, it was not so easy. When I was young, I was going to be a fireman, then a policeman, then a teacher, then . . . well, the career path changed on a moments notice. Even in college I wasn't really set on the major that fired me up, but just one I could make a decision on. Then, I started working, then went into the Air Force, then out and into a job selling cars. Frankly, that was the first time that I actually made a conscious decision that I wanted to try something like that, but it wasn't selling or cars that fired me up, it was that I wanted a career, not a job. I wanted something that meant something to me, where I could grow and become more. I became a sales manager and studied that career field. I tried a few other things during my career days including owning a musical instrument store, selling life insurance (for a couple of days. . .) and multi-level marketing with Shaklee Corporation. Then, there was a truck body company, and now back in business for myself again. It's been an interesting journey, and looking back, I don't think I would change any of the choices and each has brought experience, knowledge and good income. I guess you could say that I'm still deciding what I want. At least that's the way it might look on the surface, but there is an underlying theme throughout these choices that is what made all of those choices satisfying in one way or another, and here it is: I really wanted to be a teacher and a writer, but I didn't want to teach in school, and I didn't want to be a novel writer. In each and every position I have held, there has been some aspect of teaching and some aspect of writing. In that I have been successful and it has been fulfilling to me, and what is even more interesting for me is that it continues to grow and become more as I do. I have decided what I want and I have received it pretty much from day one; however, I didn't really realize that until very recently. Maybe You're Already Doing What You Really Want! Spread Some Joy Today--When you discover that underlying thing that drives you, that is a joyous thing. have a go. They're not frightened of being wrong. . .
that capacity. They have become frightened of being wrong." I have made so many mistakes." "Would you like me to give you a formula for. . . success? or you can learn from it. So go ahead and make mistakes. you'll find success--on the far side." I can so relate to Sir Ken Robinson's quote about kids and their willingness to make mistakes, or risk being called wrong. I have painful memories about being wrong so many times, and yet somehow maintained enough of my individuality and strength to continue to risk being wrong to this very day. Certainly, I could have risked much more, but I am proud of my not giving in to strict conformity. I see many that are unwilling to risk being wrong, who live in fear of failure, of embarrassment, of making mistakes. I think it is sad and encourage everyone to try to let go of those constraints. In my studies, I've been blessed by reading about so many great people that became great by mistaking their way to where they ended up. As we look back on history at some of the most remembered people, we pay most attention, if not all, to what they accomplished, but in study we find that the volume of mistakes tells a different story. I am a fan of quotes, just in case no one noticed, and I can easily put my hands on hundreds of quotes, if not thousands that speaks to this subject, and most of them talk so clearly where mistakes were not only part of the plan, but in so many cases, their success was fully dependent on them. So many bosses do not tolerate mistakes, and the larger the mistake, the less they tolerate it, but Thomas Watson, Sr who began IBM said this: "recently, I was asked if I was going to fire an employee who made a mistake that cost the company $600,000 [consider that was a very long time ago. . . that was a serious sum then]. No, I replied, I just spent $600,000 training him. Why would I want somebody to hire his experience?" That quote makes anything I lost of a company I was employed by miniscule in comparison. Yet, I've made some blunders. . . and learned well from them, too. Consider risk as a positive thing and not a negative thing. That word is usually used in a fearful, cautionary way as if it is something to avoid, or to avoid as much as possible of. By accepting the idea of risk being a very positive thing, can change a life dramatically--or a company. Risk IS Reward. . . Spread Some Joy Today--Go ahead! Risk something today. Risk telling someone you like them, you love them, you enjoy their company. Risk smiling a lot. Risk laughing. Risk doing what's in your heart. What's the best thing that can happen? Joy! "Time does not experience make." remarkable for their apparent disinclination to do so." In the early days of my auto business career, I heard this phrase and never let it get very far from me: he had twenty years experience; one year's experience repeated 19 times. If you've watched people in their positions over time, I'm sure that phrase has meaning to you. I used to see a lot of it, and still do. Why that phrase stuck with me is that I find love in learning, and if I'm not growing, and becoming more every day, week, month, year, then I would be very disappointed in myself and my experience. So, it helps drive me just a bit by reminding me that I need to learn new things every day and continually grow. Now, this growth could be anywhere in my life, and I study business, sales, sales management, psychology, metaphysics (fancy word for life skills), and life by observation and participation. What's cool about that is that all of those subjects are present in what I do for work. I love growing, learning and expanding. To me, the key difference between one experience level and another is study, and a real willingness to learn. This is what I see lacking when I see a lot of employees in action at various companies--especially in sales. It's always fascinated me how to change this, and I've had some success with it, from much trial and error. Here's what over 40 years of sales management experience has taught me: 1. Find good people. 2. Provide clear expectations. 3. Train well. 4. Follow through without threats. 5. Create a positive culture. 6. Repeat. Number one is ultimately the most important, so these are in numerical sequence of importance in my mind. Number two gets missed a lot, and is key to the early experience. They have to know what to do, what is acceptable and not, with clarity. Number three is so important and especially the second word: well. Number four is where I see a good deal of problems where threats are made and not followed through on. Forget the threats, just do it. This goes back to number two. Number five is critical to longevity and productivity. If the only reason they are there is the paycheck, that is not reason enough to have a great staff. Then, number six is necessary because number three will soon tell you who you've hired. Always on the hunt is a good philosophy. This could change the phrase to this: she had twenty years experience, and she studied it so well, she got it in ten years! I've Probably Learned More From Trying And Not Succeeding Than Trying And Succeeding. Spread Some Joy Today--be open to experience and learning. There is joy in there. with being alive, is what it is all about." I had the best time today, and the good news about that is that I was working all day. In fact, it was a long day that began at 4:30am and it is now 11:30pm. I had a heck of a good time calling on some clients and spending some time with them, travelling a couple hundred miles, taking photographs and video and all at a leisurely pace. I seemed to enjoy everything about this day. That includes the weather, the sky changing from complete overcast with heavy fog to sunshine and some clouds. I enjoyed the people I met with, all 16 of them. I enjoyed the travel through the countryside and the cities, and listening to favorite voices in my University on Wheels. I enjoyed the Starbuck's stop, those yummy vanilla little scones, a grande latte. I enjoyed my thoughts going over the material on the CD's, thinking in between the other events. I shared love and felt love and smiled a lot and laughed a lot. Relationships were expanded and enhanced. I enjoyed getting "work" done, although it didn't feel much like work to me. Let's just say, I accomplished some tasks that I had in mind to accomplish. There wasn't anything, not even a small amount of anything I can recall that was negative. It was all very positive. There were a couple surprises and that is always interesting to experience. I gave appreciation verbally and non-verbally throughout the day. I was giving appreciation for most of these things as they were happening and now I share that with you and appreciate it all over again. Yes, it was a great day. I now have a lot of days just like this with different events and people and things, but similar appreciation. However, they are not all like this. Sometimes, I get a little too caught up in making things too important, too critical. I sometimes focus on all those outer things that aren't fun or interesting and are far too serious. Fortunately, they are fewer and fewer and fewer. In fact, I have made a decision that I will seek joy every day, and now most days I succeed at that, and with practice, I will succeed every day. There is no reason why I shouldn't, and every reason why I should and why I want to. As I described above--that long list of little, seemingly trivial things and events--it is this that is joyous if I want it to be. I want it to be because today was so good. I could have been a multi-millionaire today and it wouldn't have been any better. Except maybe for the chauffeur driving me around in the limo. . .
What A Life I Lead Now That I Am Leading It! Spread Some Joy Today--have a day like I just had. That will do it. Joy is fun. and you're never as bad as they say when you lose." either by themselves or by others." In my business travels, I have learned a very important thing: once a person leaves a company, they can never do anything right. I've paid particular attention to this fact and watched how it is carried out and several companies. It's fascinating to watch the new person come in and find nothing but errors in judgement, errors in management, needing to be wiped clean and done right this time. . . by them. . . until they leave, of course, and then it will be another. One man I worked for had a saying for this. He said, the new broom sweeps the cleanest. Same thing, different words. Fact is, they couldn't have done everything wrong and survived as long as they did, so we all have talents, skills, value. Sometimes we just lose our drive, our desire, our commitment, or those assets are not well matched to the task. When that happens, it's far better for us to pay attention to that and do something constructive about it, like finding a different sandbox to play in, or finding some inspiration to get us fired up again. And, that is always up to us and is best left to our control. The longer we do something, or work somewhere, the more opportunity to become complacent, or to live a lie by doing something you just don't like doing. I've loved every co-worker and employee I've ever had or dealt with and there have been occasions where I took someone aside and suggested strongly they find a new career because I truly wanted them to succeed; to love what they were doing. Self-assurance is a key ingredient and it isn't possible to fake it for very long. You can see it in people's eyes, their face, their demeanor. We each have genius in us and finding a way to make use of that is our responsibility. Sometimes it requires more wilingness to risk a little, or risk a little more. One thing I think is certain, we know it full well when we find it. We love doing it and would do it free if money were not an object. We're alive and looking forward to going to work, doing our work. I just read an article in this month's Success Magazine (by the way, if you don't subscribe, I highly recommend it!) titled The Business of Being Creative by Amy Anderson and it is about the best-selling author, James Patterson and how he combines passion with profit. At the end of the article, James Patterson is quoted as defining success: "I think if you wake up in the morning and you are kind of excited about the day and you go to bed excited about the next day, then you are a success." I agree completely. Some say success is hard work, or working hard, but I think it is easy work, or working easy. That comes from enjoying what you do. I don't think there is a greater goal than this, and certainly not a more effective one. Achieving this goal changes everything. And, many may find it is not leaving that will achieve this, but something else. It May Be As Simple As A Change In Thoughts. . . Spread Some Joy Today--by seeking joy. It's one of those things that are totally free, doesn't even really require any physical or mental effort. It is more a letting go. When you are smiling as you think a thought, you are in joy. Injoy your day! Spend your day in joy. I love feel good movies and so brought out You've Got Mail with Tom Hanks and Meg Ryan for another viewing. It's a wonderful movie. It's been so long since I've heard that connection sound on the dial-up modem. It made me think about change and how much and how fast some things change. The movie copyright is 1998 and I remember in 1998 doing so little on the Internet, but I did do email and got files sent to me to download. The downloads seemed to take forever back then. Then around 2000 or so, I got DSL--so lightning fast in comparison to the dial-up, now I have cable and it is so much faster than the DSL, and now there are even faster options. Now we use cell phones the way we used to use computers in communication. My first cell phone weighed 5 lbs and was about 10"x8" and had no range. Now they weigh a few ounces and we talk to almost anyone on the planet in real time. Tweeting, facebooking, and all that social media stuff is changing the way we communicate too. I spend a great deal of time dealing with email. The way we communicate has really changed. I bought my first computer in around 1984 and it was an Apple II+ with 64k of memory. That's right, 64k. How ridiculous! It had one floppy 5" drive. I paid over $2,000 for it almost new. I just bought a laptop with 4MB of memory and it doesn't even have a disk drive, and I get the Internet through the air, and sold for $650. Buying a computer has really changed. I was driving today and saw a truck that made me think of being an auto mechanic, which I was at one time, but gave it up in 1972. There were so many cars back then with 3-speed manual transmissions with a column-shift. After I got into the car business in late 1972, they still offered the Chevrolet Caprice with a 3-speed on the column and power steering was an option, let alone air conditioning. Even carpeting was an option. I remember when seat belts were not in cars and dash boards were made out of steel. Well, that's enough. I could go on for days I think. There is so much that has changed and I see a future that is bright and bold and full of even more exciting and far faster changes--changes that are hard to even imagine right now--just like they were hard to imagine back then, whenever then was. I can rest assured that the methods and things will change in the future, and that we humans will adapt and dream up some more. Who'da thought? That must be the reason . . . Spread Some Joy Today--Enjoy the change for the moment. It will be short lived! if you stand still, they will swallow you." "Like getting into a bleeding competition with a blood bank." and we're all friends; we're all good friends." In the last number of years, I find myself consulting with and doing business services with a lot of businesses. Many are so concerned about competition, whether it is the newest Walmart coming into town or the guy in the same business across town. I've dealt with a lot of car dealers as well and it's funny that they think their biggest competition is not the other brand, but their fellow dealers near them selling the same brand. And, there is more of that in the other businesses. My best advice to them is always this: I don't believe in competition. If you're leading, there is no competition. If you're not leading, you get what is left, and that is not their fault, but your own. My best and simplest advice is for a business is two words: to lead. Ignore the so-called competition, and be the best that you can be, practice constant and never-ending improvement and you will have no worries. I also hear many self-fulfilling prophecies. Here's a few lately: "Our business is off in January and February since the holidays are over." "We're not making any money doing that." (this was without any record keeping or analysis, and I knew it to be completely incorrect). "Business is crappy." "It should get better next year, so this year we're just going to have to be careful and hopefully get through." All of these quotes speak to competition. If it isn't the competitor down the street or across town, it is the economy, the cyclical nature of the past, or whatever. And, my question is always the same: where is the leadership? Why don't you try something different? Better? I have a good list of those kind of questions, but it is rare enough that they are given any thought. I don't swim upstream very far, and I am clear about my ideas not necessarily being right, though I know I make valid points. I see it as my job to have them question their philosophy a little and to encourage them to try stepping outside of the box a little because my whole objective is to help them grow their business, all the time realizing and knowing that it is indeed, their business. So, if you were to change something that is so habitual that it has become a belief, do you think the philosophy change could change the prophecy? I say, absolutely! How about that instead of business being traditionally off in January and February, that it goes up instead? I know this: It never will with the philosophy that business is off in that period. It is impossible. There's no hope. It Always Comes Down To Our Own Thinking. That Is What Becomes Our Reality, Even When It Is Not Desired. Change The Thinking, Change The Reality. Spread Some Joy Today--There is such joy in the realization that we all have this power fully at our disposal. We have the power to change our thinking. How joyful is that? of our experience, just as we are ashamed of our naked skins." everyone except myself questions which I, and only I, could answer. to have been born with: that I am nobody by myself." What other people say about what I do, how I live, or anything else about me, can be valuable, but I doubt it. First of all, it is rare enough that anyone will say anything important to me directly, so this means that if they are saying anything or thinking anything that it is being done without my knowledge. So be it. Frankly, I'm thankful they keep it to themselves and only appreciate it when they do, assuming they will. However, I do respect and appreciate direct communication, and I don't really mind that anything is said about what I do, how I live, or anything else about me, provided that what they are saying is not all negative. I've gotten to the point in my life that if people can't find anything positive to say, I have no time or interest in hearing anything else they have to say. I've also come to the point, thank God, that I am not ashamed of anything. I know there is a skeleton in every closet and though some are certainly well-hidden, they are there to be found for those interested in finding them. But, this goes even further back to "let he who is without sin, cast the first stone," or "people who live in glass houses shouldn't throw stones," and other such worthy cautions. I adopted this attitude many years ago after reading a book by Leo Buscaglia. I don't remember which book, but it might be Born To Love. Anyway, in the book, he talks about having a class of students at his home and it is autumn and there are leaves all over his lawn, while his neighbors have all cleared their lawns of any leaves. One neighbor came to the door to ask that he clean up his leaves that it is making an eyesore of the neighborhood or something like that. So, he argues that he likes the leaves, but the neighbor is not going along with that. Leo takes his class outside, they rake up the leaves and put them in plastic bags, he brings them back in the house and spreads the leaves all over the living room. (He must have been single at the time. . .) This way he and they could enjoy the leaves and give love to the neighbor at the same time. Well, I've never forgotten that story, and that is pretty much how I have always felt about leaves, so my lawn is not pristine and that is okay with me. But it's not about leaves and lawns, it is about being yourself, being okay with being yourself, not being embarrassed by being yourself or your tastes and preferences, and being not afraid to act yourself and express your preferences. Conformity is not for everyone. Spread Some Joy Today--by being yourself, enjoying yourself, what you like and who you are. Let everyone else find their own joy, but focus on your own. Have you ever done something long enough to see it begin to work, then work so much better, and then it seems like the word is out? I look back in my life briefly and I see many times that I was good at beginnings. I even wrote a paper about that once on how much I loved beginnings, but I wasn't so fond of working through it as I was putting it together. Like planning a party is really fun and interesting, but then doing the work on the morning of the party is not too much fun--at least from my perspective. Maybe this is one of the things I like about the idea of being a consultant, where I get to help start things or change things up, which is another version of beginning, but I don't hang around and do the daily work every day. It is fun for sure, yet I am finding there are also many things; albeit, not as many, where I have invested the time, energy, money, whatever, to get it going and then am also around for the actual working of it. And, as much as I like beginnings, I am growing quite fond of the evolution of something I've started or stepped into. What I find interesting about this now is how in the early stages, it seems to be such an uphill process, and then bit by bit, it turns into momentum and then grows somewhat faster. There are also lots of different kinds of beginnings in that process as well. For example, each significant change is a beginning of its own, so I suppose I get the best of both worlds. Of course, isn't that the way it is with a family? A new church? A new business? A new relationship? I think I've come to the conclusion that I just like life now and all it contains. In addition, I've forgotten all about endings. I see them as just misnamed beginnings. If You Like Beginnings As Much As I, Just Keep Going As There Are So Many More Coming. Spread Some Joy Today--Nothing spreads joy so much as loving what you do, even when it is living each day in awe of what is coming next. find that it simply means to follow through." When you have those days where you're not feeling it, how do you get it done? I'm sure I'm not alone. Maybe you're a bit tired and lacking some restful sleep, or maybe you're tired of sitting at the computer, or dealing with frustrating issues, or maybe you just don't feel like it. What do you do when you need to get something done? How do you motivate yourself to get in there and take care of business? Or, how do you generate inspiration out of thin air? Of all of the things that I've had to deal with, this is the most challenging and it happens every week--although, it moves around a lot and I can never depend on it staying put. . . I deal with this in a number of ways and pick and choose as I see fit. Often, I just take a break. I'll go sit down in my comfy chair, put on my headphones and my favorite meditation CD and listen to the rain falling while I zone out for a few minutes. Then, I go back to it and often that is refreshing enough. Other times, I might go for a walk, or pick up a book I've been reading and read for a while. It is usually some kind of little escape to get my mind going somewhere else for a bit, and that seems to work most of the time so I can succeed by following through. Then, there are sometimes where I am taking it much too seriously and I need a longer break from it to get a better perspective. A few things I even might ignore and see what happens. Interestingly enough, sometimes, ignoring them has them run for cover and never come back. I think I would like that to happen more often! Then again, when it comes right down to it, I can see that following through not only the right thing to do, but the necessary thing. Taking A Breather Can Be Really Helpful Sometimes. Spread Some Joy Today--Take a joke book you really like to work and when you're not feeling it, read a bit from that book. Laughter will change it.